What is the difference between a luxurious garden filled with colourful plant life and one that struggles to grow? Surprising, the answer is frequently unseen in the garden itself: the soil. A healthy soil provides all the essentials for plant life and makes growing them effortless. It is a crucial component of successful plant care. Good soil provides the required nutrients, air, and moisture plants need to thrive. For a flourishing garden or a lush green lawn, it is essential to think about what lies underneath. Below our feet, humbly known as “dirt”, is a veritable universe of life giving material. Examined closely, soil is comprised of four basic components: minerals, water, air, and organic matter. Manipulating any of these four components changes the nature of the soil and the way it nurtures plant life. So it’s easy to understand why Sydney gardeners are on a constant quest to improve their soil. Organic matter makes up about five to ten percent of soil and is where the magic happens. Think of it as the alchemist’s elixir that transforms the other elements of minerals, water, and air into the basis for a flourishing garden. It includes everything that was once living plant or animal material. It could be the decomposing leaves and petals from last years’ flowers or manure tilled into the ground as nourishment for this year’s garden. Made up of both living and decaying plant roots, organic matter contains literally billions of various microorganisms essential to plant life. For this reason, organic matter is a key determining factor of a soil’s quality, despite its relatively low percentage in the soil. We usually think the answer to dry soil is more water, but without adequate organic matter to hold and store moisture, simply adding more water to a poor soil will accomplish very little. It also creates the spaces to hold air, another essential component of soil. If it weren’t for organic matter, soil would be little more than ground up rock. A healthy plant needs air at its roots and heavy compact soils cannot provide that. A soil with plenty of organic matter is nice and fluffy, with plenty of spaces to hold air. How can we add more of this precious organic matter to our soil? Soil amendments like aged manure and compost are simple answers to this. Mulching with plant material like wood chips, in addition to holding and conserving moisture, also adds organic matter to soil as it breaks down. Bare ground is a rarity in the natural world. Take a walk through the forest or stroll through a meadow and you will notice that everywhere the ground is covered. Dead grass, living plants, last year’s leaves and rotting logs – all of these combine to create a kind of organic carpet that covers the ground. This carpet performs several important functions, including preventing the soil from eroding and washing away, conserving moisture, regulating temperature and providing nutrients. We can mimic this natural carpet and achieve the benefits of it through regular mulching. Mulch basically refers to any material used to cover the soil’s surface. Common organic mulches include wood chips, bark mulch, straw, sawdust, grass clippings and cocoa bean hulls. Synthetic mulches like stone or black plastic do not provide the same benefit as organics. They don’t decompose, increase soil fertility or hold moisture as well. However, the fact that they don’t break down means they last longer than organic mulches and may be useful for that reason. Pricing, aesthetics, longevity and availability are all factors to consider when selecting a mulch. Obviously soil moisture is crucial to healthy plant growth. Even the hardiest Australian flowers will wither and die in dried out soil. Water deficiencies are easy to spot, but plants that are showing symptoms may be too stressed to recover fully. It is best to monitor soil moisture before problems develop. Since plants vary in how much water they require, those in arid or drought prone areas may benefit from choosing drought tolerant plants. Evaporation is the enemy of soil moisture. Improving the soil by adding organic matter allows the soil to hold moisture and a mulch cover to prevent evaporation will ensure that any water added will remain available for use by plant roots. As all things are interdependent in the garden, once the soil is improved and mulches applied, any watering or irrigation will be utilised to maximum effect. Perfect soil cannot eliminate the need for added moisture, however (unfortunately) we cannot always rely on the skies to provide the necessary moisture for our gardens. Watering by hand is one option, but can be time consuming and doesn’t allow for days off or holidays. Irrigation is a simple and painless alternative to hand watering. An irrigation system can be automated on a timer and can even conserve water compared to hand watering. To create a sustainable system for growing beautiful Australian flowers, it is often necessary to supplement with concentrated nutrients as found in fertilisers. Nutrient deficiencies can be observed in plants – common signs include stunted growth, yellowing or reddish-purple leaves, mottled colouring, spots, and brown edges on plants. Just throwing fertiliser randomly on the ground won’t do, however. Unfortunately, the nutrient labels on soil amendments may look like alphabet soup to the average person and can seem confusing and needlessly complex. What is needed is a simple nutrient test, to evaluate the soil and determine which nutrients are lacking and need supplementation. Good garden maintenance involves regular testing, ideally before any problems arise. Nature created the soil beneath our feet over thousands of years. Fortunately we are able to speed up the process with a bit of understanding and effort. 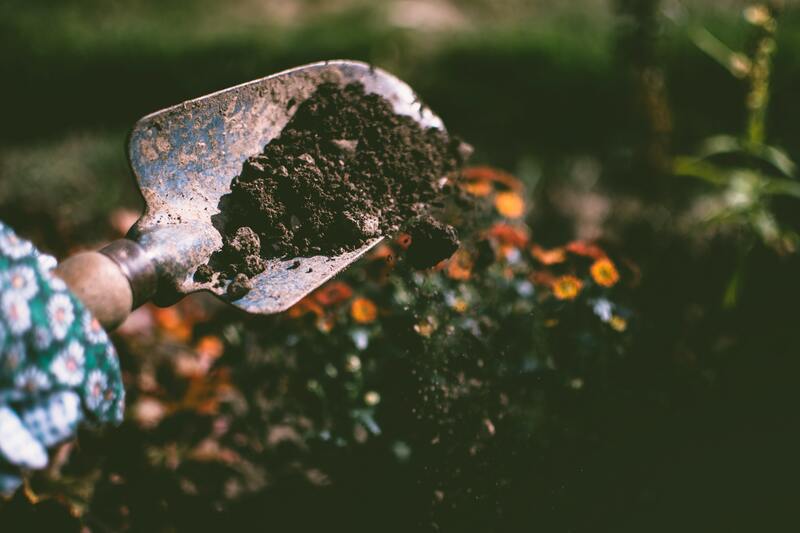 For those who are not blessed with naturally healthy soil, the nutrients, organic matter, and moisture that are lacking can be replaced, bringing life back to sterile ground.